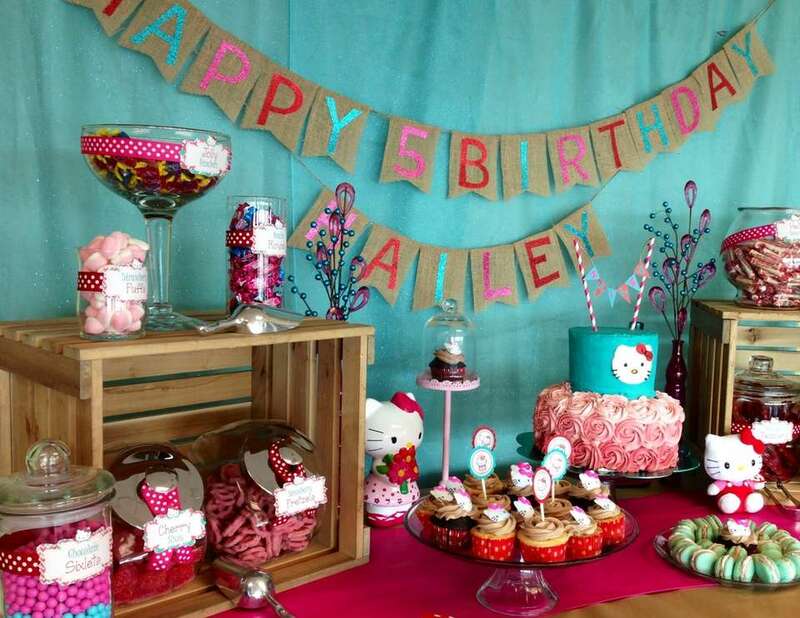 This was a hello kitty party for my 5 year old daughter. 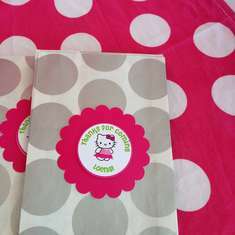 The great thing about hello kitty is she is everywhere! I was inspired by many parties posted on here and Pinterest. 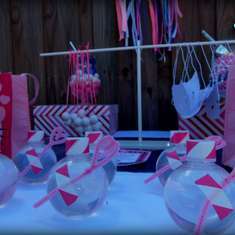 The party planning started months in advance. I had so many of the supplies from previous parties and didn't have to buy much. The centerpieces were made out of crepe paper glues to a styro ball. The were time consuming. The kids all got an apron to decorate a hello kitty shaped pizza and make fruit kabobs. When a friend of my daughter said this is the best birthday party ever! Kids made pizza and fruit kabobs and ate veggies. Adults got bbq chicken, Hawaiian and sausage pizza. 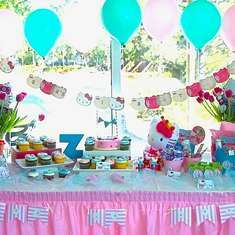 Where did you get the hello kitty plates from? where did you get the printed labels?